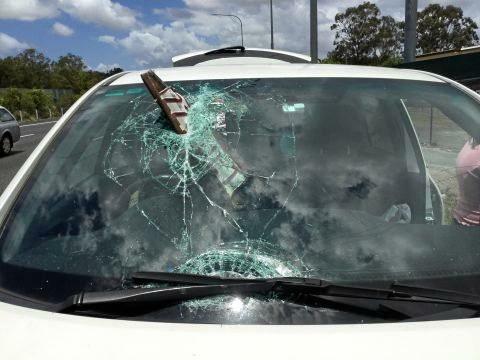 A MORAYFIELD mum had a lucky escape after a registration plate flew off from under a trailer and smashed into her windscreen, embedding itself just centimetres from where she sat. 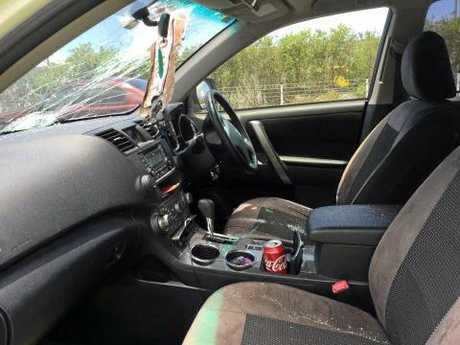 Jenna Lane was merging onto the Bruce Highway on Tuesday heading northbound from Deception Bay when the numberplate was flicked up by a trailer in front of her and sliced through her windscreen. She was travelling at almost 100km/h and the incident sparked warnings from police to secure numberplates.